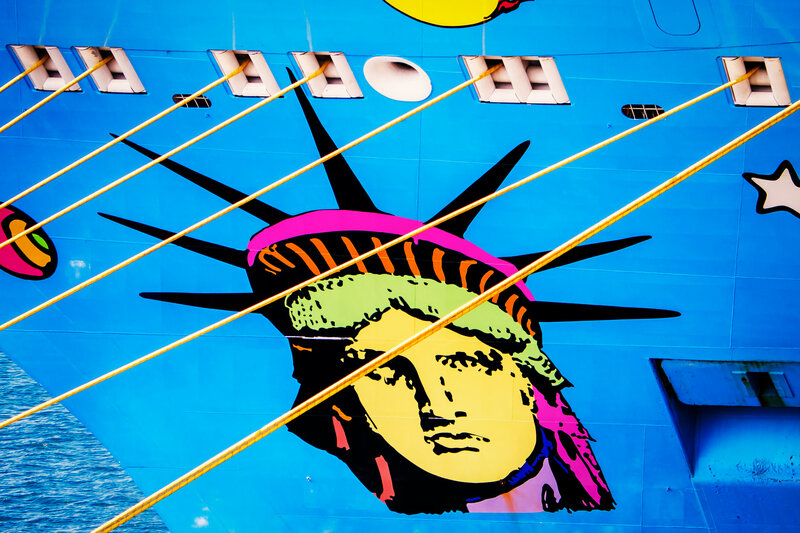 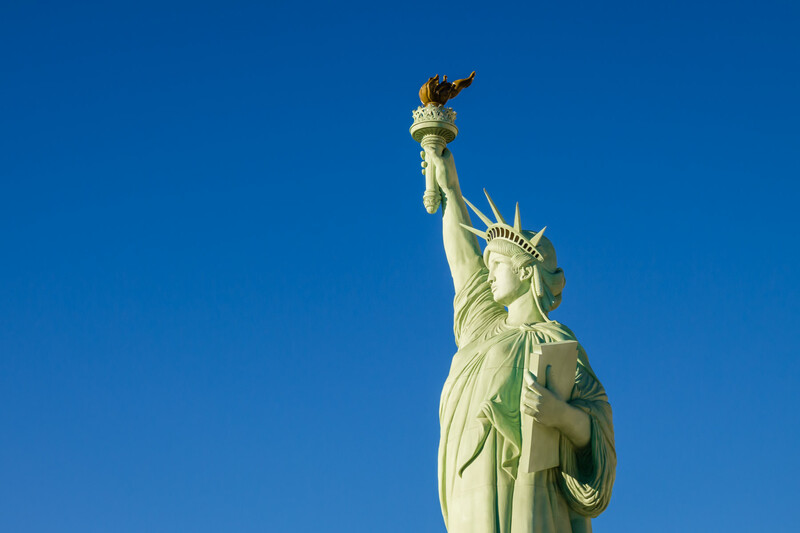 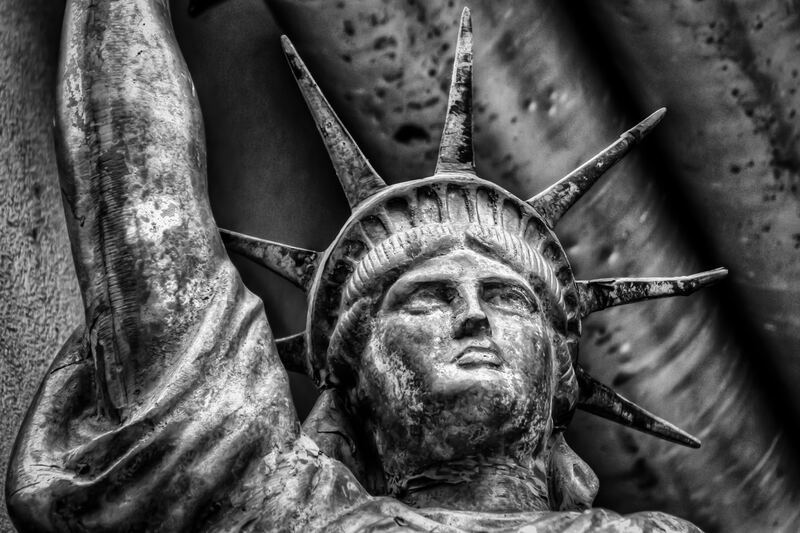 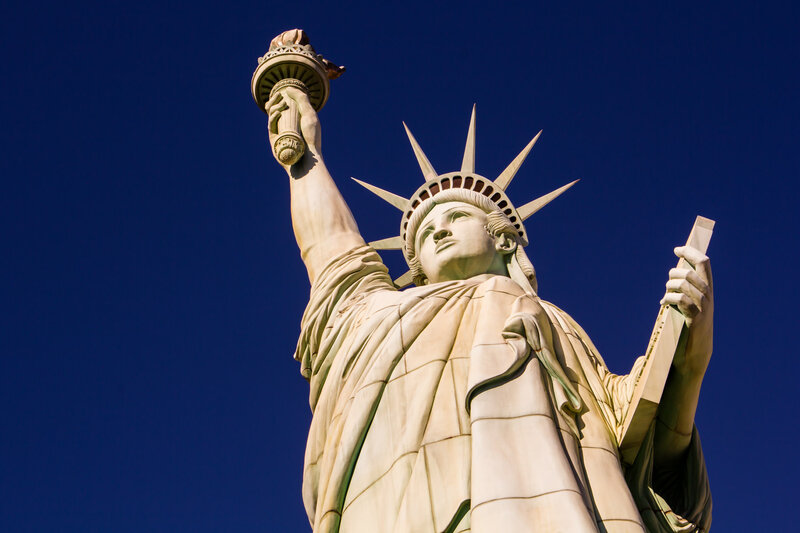 The stylized Statue of Liberty graphic that graces the bow of the cruise ship Norwegian Breakaway, spotted docked in Nassau, Bahamas. 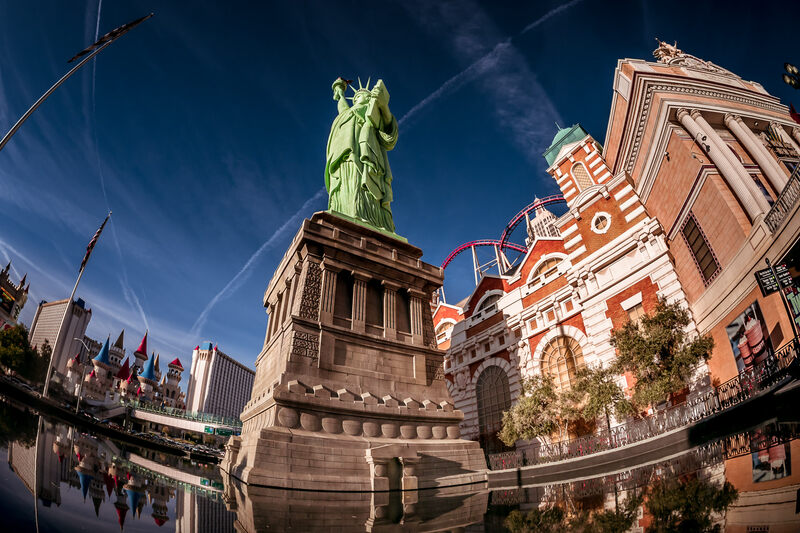 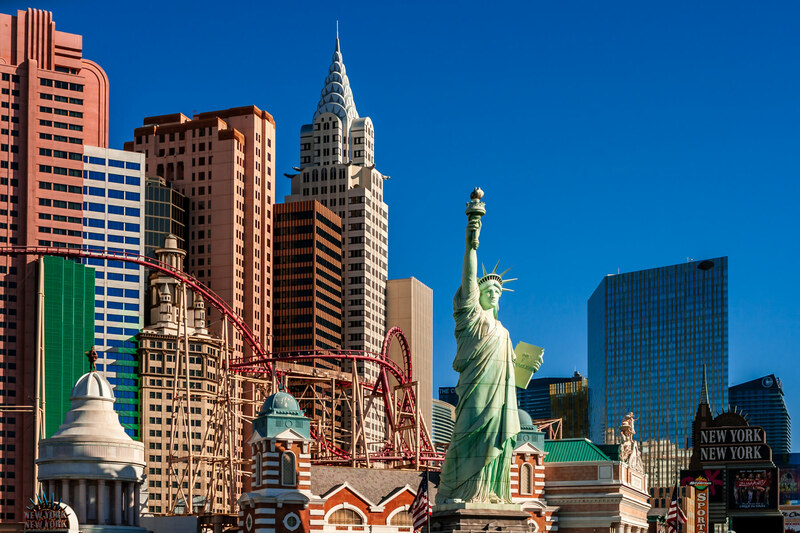 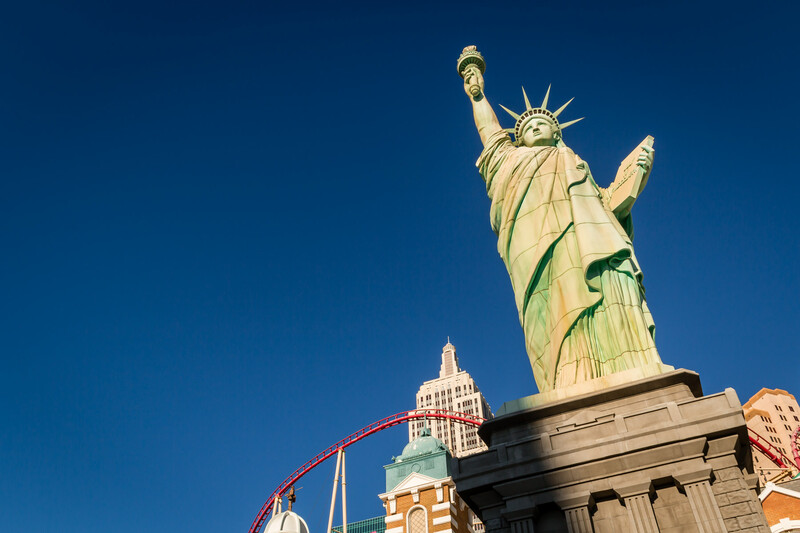 New York New York Hotel & Casino‘s replica of the Statue of Liberty rises into the Nevada desert sky in Las Vegas. 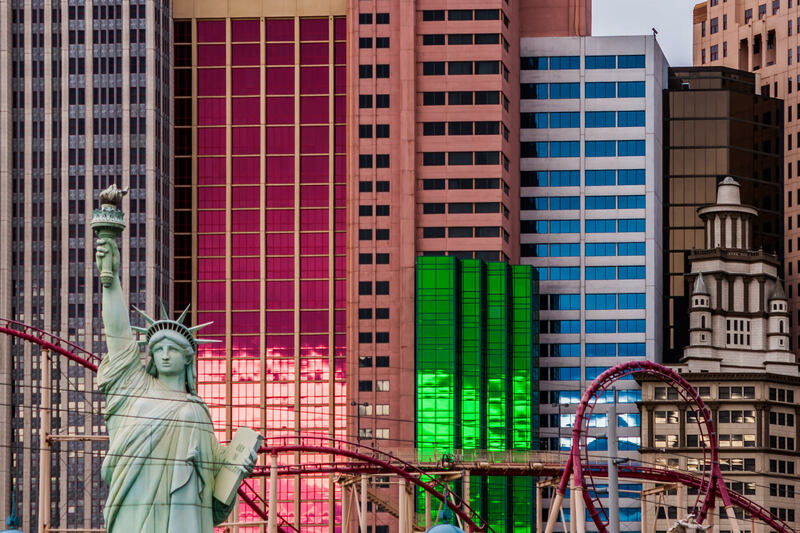 Detail of the exterior of Las Vegas’ New York New York Hotel & Casino.